Just a few years ago, we witnessed how a national project, the India-based Neutrino Observatory (INO), which is to study fundamental particles called neutrinos, was subject to a barrage of questions from environmentalists, politicians and others ever since it was cleared. The project, which involves the construction of an underground laboratory, was initially to be located in the Nilgiris but later, on grounds that it was too close to tiger habitat, was moved to a cavern under a rocky mountain in the Bodi West Hills region of Theni district, about 110 kilometres west of Madurai in Tamil Nadu. 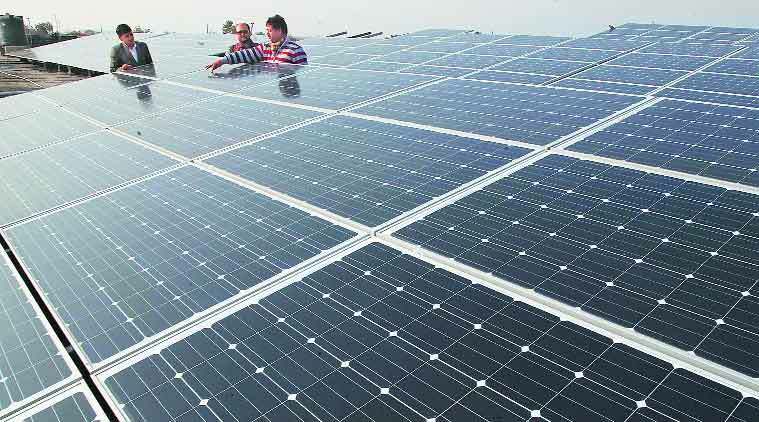 The EU and India need to act on clean energy programmes. Time is running out. Climate change presents a global challenge. Extreme weather events like hurricanes, floods and droughts have increased all over the world, in frequency and intensity. Polar ice-caps and glaciers continue to retreat. Eight of the last 10 years have been the hottest in recorded history, and the world is at the receiving end of largescale and devastating climate change impact. India is among the countries most vulnerable to the increasingly unpredictable vagaries of nature. We all agree that economic growth is vital for development and poverty alleviation, but to tackle the current impacts of climate change, this must be clean and sustainable. Climate-smart development strategies have to be designed and implemented worldwide. Acting on climate change can help enhance food, energy and water security as well as create economic opportunities. Our window of opportunity to avoid severe social, environmental and economic consequences is closing quickly. Civil servants have been playing upon apprehensions of political leaders of being overthrown by the man on horseback. It has taken the government 68 years to accept the need for a CDS. Manohar Parrikar, the defence minister, and Rao Inderjit Singh, the minister of state for defence, both issued statements in February 2015 that India will soon have a Chief of Defence Staff. At long last the government has taken a decision on this issue. A CDS would remove the stifling control of the civil bureaucracy over the military on the plea of the superiority of the civil. This concept applies to the political executive, and not to civil servants. The latter have been playing upon the apprehensions of the political leadership of being overthrown by the man on horseback. It has taken the government 68 long years to accept the need for a CDS, as obtains in democracies. Arms & women: Just symbolic Nari Shakti? The resistance to women’s recruitment in the fighting units is a desire to preserve the Army as a male domain. Combat by nature is considered a male occupation, the Army is considered a male space and combat the most masculine aspects of war. A seminal utterance of Union Defence Minister Manohar Parrikar has gone unnoticed by both, the electronic and print media. On May 30, he categorically ruled out any “combat role” for women in the armed forces and stated: “The issue of not allowing women combatants has more to do with the consequences they can face in case they are taken prisoners by the enemy in a war.” It was the passing out parade of the National Defence Academy, Khadakwasla, and he was echoing what the Indian Army has held for long. Apart from being reminiscent of the frequent advisory utterances of many politicians who “warn” women about going out of the house after dark as it may have “unspeakable consequences”, this explanation is totally inadequate. Qatar has reportedly secured the release of four Tajik border guards kidnapped by the Taliban in December. Qatar has reportedly secured the release of four Tajik border guards kidnapped by the Afghan Taliban in December. The four men–reported by Asia-Plus in January to be Farhod Kalonov, Mehroj Shodiyev, Siroj Davlatov and Tuychibek Nourboyev–were members of border unit 2610 stationed along the Panj river which forms a majority of the border between Tajikistan and Afghanistan. The Panj river is wide, meandering, and quite shallow at some points. According to a source in the Border Service, quoted by Eurasianet, the Tajik guards were captured on the Afghan side of the river in Kunduz province, which has seen increased militant activity this year. The South Asia Nuclear Equation Recent remarks by a Pakistani general have reopened the debate on South Asia’s nuclear stability. For 15 years, since its inception in February 2000, General Khalid Kidwai served as Director General of Pakistan’s Strategic Plans Division. Now an adviser to Pakistan’s National Command Authority, Kidwai was a speaker at the recent biennial Carnegie Nuclear Policy Conference. Offering a glimpse into Pakistan’s strategic thinking, he explained Pakistan’s shift from a strategy of “minimum credible deterrence” to “full spectrum deterrence.” During his talk, Kidwai justified Pakistan’s induction of battlefield nuclear weapons with operational ranges as low as 60 kilometers on the pretext of anon-existent “Cold Start” doctrine. ISLAMABAD, Pakistan — One year after Pakistan’s army launched its offensive in the country’s northwestern tribal belt, Pakistani deaths from terrorist attacks are at an eight-year low but U.S. officials say more work is needed before the country can reverse its reputation as a top incubator of Islamist militancy. The strategic discussion between the U.S. and China can’t be called a dialogue of the deaf. The talk is loud and each side hears the other. Take the subject du jour: the South China Sea. The issue under discussion should be clear and well understood. This is about rocks and reefs, contested ownership and rights in some vital maritime territory. When each side talks about the South China Sea, however, they’re also talking about lots of things that look nothing like rocks and reefs; scrambled semiotics in spades. This is a working paper (from 2009) which examines the comparative data for prices, wages and living standards in China compared to European countries, India and Japan from before the start of the industrial revolution (1738) until the roaring 20s (1925). For wages, the cities of London and Amsterdam were several times higher than other cities which were all rather comparable (Leipzig, Milan, Beijing and Tokyo) from 1738 until the mid 19th century. In the later part of the 19th century and the early part of the wages in all cities studied were growing quite rapidly, northern European cities faster than Milan, which was rising faster than Tokyo, with growth of wages in Beijing lagging all the others. The appearance of Colonel Gulmurod Khalimov in an Islamic State propaganda video on May 27 sent a chill across Central Asia. The head of Tajikistan's Special Assignment Police Unit (OMON), a key element in President Emomali Rahmon's security apparatus, had disappeared shortly before. In the video he promised to return to wage violent jihad. A veteran of brutal Tajik government operations, Khalimov has the qualifications. And Tajikistan, a desperately poor country ruled by a venal elite, is a vulnerable target. As I drove to its capital, Dushanbe, last summer through the ancient city of Khujand and the rickety, fume-filled, Iranian-built Shariston tunnel, I saw poverty and isolation that eclipses the worst pockets of deprivation in neighboring Kyrgyzstan and Kazakhstan. 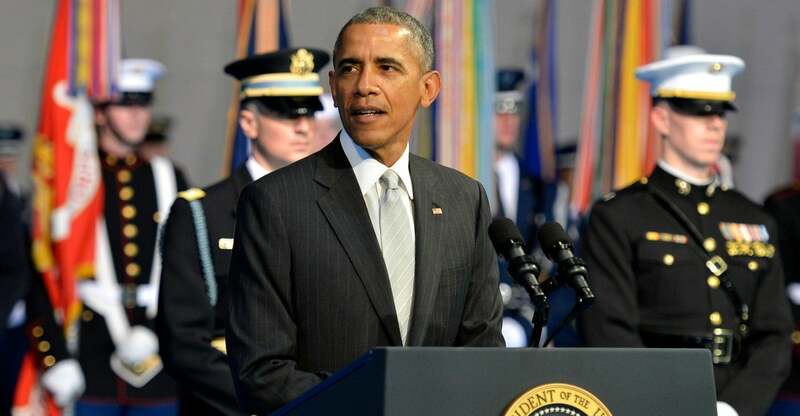 President Obama’s strategy towards Iraq over the last year has been more right than wrong. After the tragic fall of Mosul and other key regions in the nation’s Sunni-dominated northwest in the spring of 2014, Obama used U.S. airpower to help the Kurds fend off ISIL attacks against them, helped engineer an Iraqi political transition that replaced Prime Minister Nouri al-Maliki with the current leader, Haider al-Abadi, and then introduced modest numbers of American trainers to help the disintegrating and discredited Iraqi Army begin to rebuild. All of these steps were taken in the right order—first, the use of airpower in an emergency mode to stem off further inroads by ISIL, then the necessary political transition that was essential to get Sunni and Kurdish support for the central Iraqi government, and finally the military training needed to begin to repair the damage that Maliki had done over the years to the Iraqi armed forces. Renewed fighting in Ukraine has in turn renewed calls to arm Ukraine, including in the United States Congress. Yet there is an enormous and largely unacknowledged flaw in the argument to provide the Kiev government with lethal weapons. Advocates of this approach assert that sending anti-tank missiles, mortars and other arms to Ukraine will help Ukrainian forces to kill more of the Russian troops fighting alongside separatist forces in the Donetsk and Luhansk regions of eastern Ukraine. Since Russian president Vladimir Putin and other senior officials have repeatedly denied that Russian soldiers are in the country, they say, he must be trying to hide Moscow’s involvement from the Russian people because he fears political opposition from soldiers’ mothers (a significant political constraint during the first war in Chechnya, not to mention in Afghanistan a decade earlier) and others. If we can only kill enough of Putin’s troops, they continue, Putin will no longer be able to conceal the scale of Russia’s engagement in the conflict and will face public pressure to limit it or even to withdraw. The war against ISIL and the civil war in Syria have highlighted the importance of the military balance in the Levant and the extent to which it has an impact on Iraq and the Gulf, the flow of global energy exports and the world economy, and international terrorism. Aram Nerguizian has prepared a comprehensive analysis of the changing military balance in Syria, Egypt, Lebanon, and Jordan that updates our previous analysis and reflects extensive research in the region and work with security experts in the US and Europe. This report is entitled The Military Balance in a Shattered Levant: Conventional Forces, Asymmetric Warfare & the Struggle for Syria. It provides extensive tables and trend analyses of the balance, and is available on the CSIS web site at http://csis.org/publication/military-balance-shattered-levant. To many in Washington, further arming by Pyongyang is a foregone conclusion. That assumption is wrong. One (admittedly American-centric) history of the Cold War is that Democrats did stupid sh*t and Republicans cleaned up after them. Whether it was Korea, Vietnam or Jimmy Carter, Republican administrations frequently found themselves fixing the messes of their Democratic predecessors. The pattern of Democrats doing stupid stuff and Republicans cleaning up after them has largely been absent in the post-Cold War era. This may be changing. In his new book, The Obama Doctrine: American Grand Strategy Today, Colin Dueck not only argues that Obama’s foreign policy has been a disaster for the United States, but also outlines a Republican grand strategy to fix America’s foreign affairs. For somebody aspiring to occupy the White House, Rand Paul is taking some obviously bold—and, in some quarters, unpopular—stands on foreign policy and national security. Republicans in particular have almost uniformlylambasted Paul over his positions on reforming the National Security Agency (NSA) and how to combat the Islamic State (IS), and most commentators agree that Paul is too contrarian to pass muster in primary season. But is the outspoken Kentuckian really authoring his own political demise or are there sound strategic reasons for Paul’s steadfast refusal to toe the party line? In fact, a strategy of separation from the Republican mainstream is probably Paul’s best bet for building support for his particular brand of politics. Being different might not win him the mantle of Republican Party nominee (let alone the presidency) but it does not follow that Paul should eschew differentiation altogether. Consider the field that Paul finds himself a part of. There are now around a dozen serious candidates for the GOP nomination, and almost all of them tend to agree with one another on foreign policy—or, perhaps more accurately, they tend to avoid disagreeing with one another on foreign policy. "If we cannot win a legislative debate on the merits of free trade, the deal wasn't worth making." When I was first elected to Congress in 1998, South Carolina's Fourth Congressional District was a reliably protectionist vote. In the words of former Senator Fritz Hollings, the entire delegation viewed free trade as “the commercial equivalent of unilateral disarmament." As a free-market conservative, free trade is in my DNA. It is a trait shared by many of my former colleagues in Congress today, and they are correct that perfection is usually unattainable in the legislative process. That is why I voted in favor of granting President Bush trade promotion authority (TPA) in 2002 even though that bill contained what we now know is an egregiously ineffective welfare program—Trade Adjustment Assistance (TAA). NEGOTIATIONS over a deal to extend Greece's bail-out, and to free up the money it needs to make repayments on its debt, broke down yet again on Sunday night in Brussels. In the narrow sense, the failure was due to the inability of the European Commission and the Greek team to narrow the gap on European demands for measures to increase Greece's budget surplus, including cuts to pensions and a hike in the value-added tax rate. But behind the technical impasse in Brussels lies a gulf between the political realities back home. In European capitals, politicians and voters who see themselves as having already spent billions to rescue Greece have grown fed up with demands for generosity. In Athens, the government led by the far-left Syriza party was elected on promises to undo EU-imposed austerity, but is being told to accept more of it. It’s not like government officials didn’t see the attack coming. The Office of Personnel Management has faced repeated hacking attempts—including an incident last year when Chinese hackers tried to steal tens of thousands of files about U.S. workers who had applied for top-secret security clearance. But a breach of federal data that was announced last month appears to be significantly worse than the federal government originally let on. Hackers may have stolen personnel files for as many as 14 million people. That number, much larger than the actual federal workforce, suggests that the hack may have exposed the information about additional categories of individuals, such as family members or government contractors. It’s also more than three times as many people as original reports suggested,according to The Hill and other outlets, citing officials who claim the attack originated in China. CAPITOL HILL: Who buys the bandwidth? Today the military has two separate, unequal, and inefficient systems for acquiring communications. But Congress is pushing hard to consolidate — probably at the expense of the Defense Information Systems Agency (DISA). “I have been in situations where we needed to have SATCOM [satellite communications] and we didn’t have the right terminal for the right satellite… because the architecture is not integrated between commercial and military,” Rep. Jim Bridenstine, a former Navy pilot, said this morning at the Capitol Hill Club. That’s more than inefficient: It’s a potential battle-loser. The options are either DISA, which leases communication services for the military from the commercial sector, or the Air Force Space and Missile Systems Center (SMC), which buys military satellites. ‘“The crux of the Four Modernisation is the mastering of modern Science & Technology. Without the high-speed development of Science & Technology it is impossible to develop the national economy at high speed.” – Deng Xiaoping at the National Science Conference March 1978. Gunpowder was reportedly invented in the 9th Century in China, and the earliest record of a written formula for gunpowder appears in the 11th Century Song Dynasty text, Wujing Zangyao. This discovery led to the invention of fireworks and the earliest gunpowder weapons in China. Chinese military forces used gunpowder-based weapons (rockets, guns, cannons) and explosives (grenades and different types of bombs) against the Mongols who attempted to invade and breach city fortifications on China’s northern borders. The first recorded use of a rocket in battle is said to be in 1232 BCE against the Mongol hordes at Kai Feng Fu. Japan’s prime minister has an image problem — and it stems from his signature national security legislation. During his address to a joint session of the U.S. Congress in April, Japanese Prime Minister Shinzo Abe talked about the national security legislation package that his government was then about to introduce to the Diet. He explained that this legislation aimed to make “the cooperation between the U.S. military and Japan’s Self Defense Forces even stronger, and the alliance still more solid, providing credible deterrence for the peace in the region.” Calling the reform package the “first of its kind and a sweeping one in our post-war history,” he declared that his government intended to enact the legislation “by this coming summer.” That was only six weeks ago. Today, Abe will struggle to get the legislation approved by the Diet this year. On Monday, media sources reported that Thailand’s junta had banned the Foreign Correspondents’ Club of Thailand (FCCT) from holding a debate on the controversial lese majeste law. The FCCT was planning on hosting a panel discussion on Wednesday evening on the law, which has long been criticized for being used to target political enemies of the state. According to Section 112 of Thailand’s criminal code, anyone convicted of defaming, insulting or threatening the king, queen, heir or regent faces up to 15 years in prison on each count – one of the strictest punishments in the world for such an offence. What Does Indonesia’s New Military Chief Pick Mean? Late last week, Indonesian president Joko “Jokowi” Widodo proposed that Army chief of staff General Gatot Nurmantyo succeed General Moeldoko as Indonesia’s next military chief. In so doing, Jokowi has confirmed earlier speculation that he was going to break with tradition in making his nomination for the post. As I pointed out in an earlier piece, since 1999, the Indonesian military chief position has rotated between the Army, Navy and Air Force in a move to reverse the traditionally dominant role of the army (See: “Who Will Be Indonesia’s Next Military Chief?”). If Jokowi had elected to continue on with established practice, he would have replaced Moeldoko, who was from the army, with Air Force chief of staff Marshall Agus Supriatna instead of Nurmantyo who is also an army man.